(Acer Rubrum) Ambrosia refers to the fungus that causes the black streaks. It's introduced by beetles that cary the spores with them. They burrow in to dead maple trees, lay eggs, and leave, and the spores they leave behind start to decay the wood. The resulting staining pattern in the maple is distinct, dramatic, and beautiful - one of my favorite woods to work with. (Acer Macrophylum) Creamy white to brown, birdseye maple is one of the rarest woods in the world. Nobody knows for sure what makes the birdseye pattern - little dark dots of swirling grain, but whatever it is does not happen in wood very often, and when found, the wood is set apart and treated very carefully at the lumber mill because it fetches a high price. Rolls Royce uses it for dashboards of its cars, for example. (Dalbergia Melanoxylon) Blackwood is a small tree attaining a height of 45', trunk diameter rarely more than 14". Heartwood is dark brown with predominant black lines which give an almost black appearance. Sapwood is pale yellow, giving pleasant contrast. The grain may be straight or irregular, extremely fine texture. Dries slowly with a slight tendancy to check. Used extensively for woodwind instruments, giving one of the best tones. Turns well, often used for carving. Capable of an excellent finish. (Borsimum Paraense) Deep reds, very hard and dense, my personal favorite for pens. Bloodwood is actually a name for several types of reddish wood. It is hard and tough, with no smell at all, unless it's smoking hot, in which case it smells like coconut and sweet incense. Shavings are a striking bright red color, and it finishes nicely. Hard and strong, it's supposed to age to a deep brown color, but the finish will slow that down. (Cordia Gerascanthus) Color is a creamy brown, with somewhat wavy, black stripes. A small South American tree seldom growing larger than 12" in diameter. Freshly cut bocote has a green tinge, and is oily to the touch. The Box Elder tree is a variety of maple tree, also known as Boxelder Maple and Maple Ash. A small, fast-growing, and short-lived tree, it has generally weak wood with little use commercially, except for the burls, which have beautiful coloring and grain patterns. The photo is from a dyed box elder burl where they impregnate it with a colored dye. In addition to blue, the dyed box elder burls are available in yellow, red, black, green, purple, brown, and magenta. The burl structure does not dye uniformly, so the turning process will expose layer after layer of unique patterns and contrasting shades of the same range of colors. Brazilian Rosewood is a tall tree that reaches as high as 130 feet and 40 inches in diameter. This species grows in coastal regions. Heartwood varies from chocolate brown to violet brown with violet and black streaks. Older trees tend to dull saw blades, but this wood turns well on the lathe. A prized wood for both turnery and carving. (Guibourtia Tessmannii) Bubinga is a very distinctive wood from West Africa and is quite representative of wood from that part of the world. Color varies from light red to violet, with fairly evenly spaced purple stripes. It is fairly fine grained, hard and heavy. (dalbergia oliveri) Burmese Rosewood is a medium sized tree that usually grows no larger than 20" diameter. Heartwood is light red or reddish brown with distinctly darker grain lines in most trees, yellowish with darker lines in others. The color darkens with exposure to sunlight. Turns well and produces a high and lasting polish. (Centrolobium Paraense) The heartwood is yellow or orange, typically streaked with "rainbow-hued" colors, often mixed with shades of red or brown. Sapwood is yellow. Turns easily. (Dalbergua Retusa) A medium sized South American tree growing up to 2' diameter and 90' tall, heartwood color varies from bright orange to deep red, with attractive varied stripes of yellow, orange and black. Darkens on exposure. 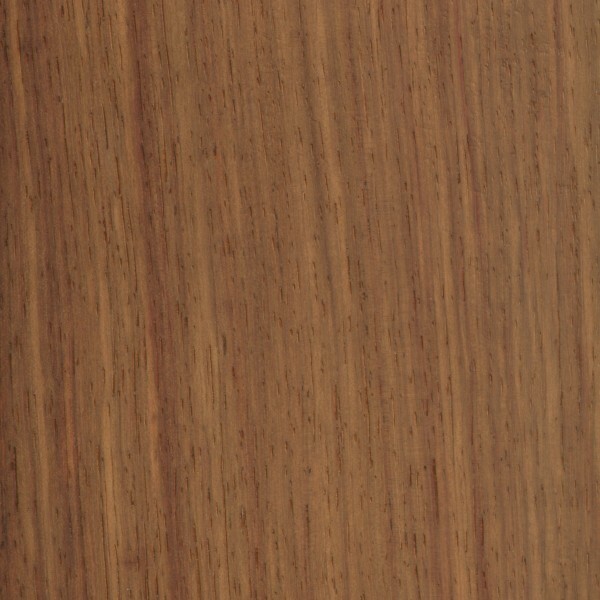 Its fine texture and excellent color make Cocobolo one of the most popular exotic woods. (astronius fraxinifolium) A large, South American tree that can grow 150 feet tall and 50 inches in diameter, heartwood is reddish-brown, almost copper colored, and often streaked with darker brown. Medium texture and interlocked grain, this turns and finishes extremely well. Kiaat grows mainly in Savannah forests throughout Tanzania, Zimbabwe, Mozambique, Zambia, and South Africa. It resembles Padauk, but lacks the reddish color, being brown with irregular reddish streaks. (Dalbergia Cearensis) Kingwood, also called Violetwood or Violete, is from a slender low tree native to Brazil. It is called kingwood because in the 18th and 19th century it was a favorite wood of French kings for their furniture. It is fairly rare, and its fine texture and stability makes it a prized wood for inlay work, wood turning, and fancy accessories. Heartwood has variegated colors with a background of rich violet brown, shading almost to black, with streaks of black, brown, violet and sometimes golden yellow. (Bulnesia sarmientoi) Lignum Vitae (Latin for the wood of life) is named for its medicinal uses. Supposedly you can make a tea from shavings and from the bark. The tea from the bark is supposed to have um...well...um... let's call it medicinal qualities, as does the resin. What I think is really cool about this wood though is that it's the hardest and heaviest known wood in the world (it actually sinks in water) and contains natural lubricants that make it durable for saltwater applications - it's been used for bearings and busings for submarine and ship propellers, among other things. Its color varies from yellow-brown like that shown, to dark brown, and sometimes green. It may develop a green color with time. The grain is heavily interlocked and irregular and the texture is fine and uniform. (Diospyros Discolor) This tree grows to heights of 70 feet. Heartwood is dark brown to black, streaked throughout with darker and paler bands, stripes, and splotches. Sawing can be difficult due to the hardness of the wood. Finishes well with high luster. (Prosopis Juliflora) Color is light to dark cocoa, with a reddish cast and an almost golden luster. (Diospyrus Mun) One of the more stable ebonies ranging from dark greenish black with creamy lines to a wild sky scape figure. (diospyros crassiflora mespiliformis) Nigerian Ebony is a rather small tree that reaches heights no taller than 60' and no larger than 2' diameter. The heartwood is jet black, very hard, and very dense. Commonly used for carving and turning. Polishes to a high-luster finish. Ebony is the Greek word for "fruit of the gods". Historically drinking goblets were made from its wood, as they believed it was an antidote for poison, and its use would ward off their enemy's evil intent. (olea erupoaea) A long-lived gnarled tree with a short bole, often with numerous holes and cavities, olive wood is one of the world's most beautiful woods. Heartwood is light brown to dark brown with irregular streaks of grey, brown, and black, giving a marble-like appearance. Irregular, interlocked grain is dense, turns easily and cuts very clean. These aromatic blanks are selected for figure and color. Unseasoned. Can also be from prunings from live trees in the holy land for around $10 extra. (Maclura Pomifera) Bright yellow orange color, open grained and quite hard but turns well. The Osage Orange tree grows in the American Midwest, and was prized by the plains Native Americans for its worth as a bow wood. Its hard, straight grain made bows of such quality that Native Americans would travel for a week to harvest the wood. In the early 19th century, you could trade a horse for a Osage Orange bow. Padauk is a large tree reaching diameters as large as 45". Heights of 130' are not uncommon. Heartwood varies from yellow to brick red, but most commonly seen in a dark red-orange. An excellent turning wood that takes a very good polish. (Peltogyne Venosa) Purpleheart, also sometimes called amaranth or violet wood, comes from several species of tropical trees native to Central and South America. The heartwood is a light purple when cut, and darkens upon exposure to sunlight, reaching first a darker purple and eventually a brown with a purple cast. It is hard and strong, and takes attention when turning, requiring sharp tools, gentle cuts, and a LOT of sanding. An interesting side note: every kind of wood smells different when turned. Maple smells kind of like pancake syrup, mesquite like warm raw meat, walnut like something sour. Well, the dust and shavings from this wood at first smelled kind of sweet, but as I kept smelling it as I was working, it started to smell more meaty, and then kind of like sweet warm old meat. Yuck. Wikipedia says the dust can cause nausea. I can see that. Don't worry, the finished work is scentless. (roupala brasiliensis) Rapala Lacewood is a medium-sized tree witha height of 45-60' and a diameter of 18-28 inches. Heartwood is deep orange-brown with broad rays creating a flamed pattern. Paler brown sapwood. Interlocked grain with a coarse uneven texture. Used for veneers, fancy cabinet work, and woodturning. (Dalbergia Frutescens) Tulipwood is a small tree that rarely measures more than 10" diameter. Heartwood is pink-yellow with pronounced grain of pink to dark red. This excellend wood for turnery is eye-catching and intriguing. This wood turns better than it machines, and finishes very well. (Juglans Neotropica) Beautiful dark brown color with a blackish striped figure. Walnut wood is hard, dense, tight-grained, and polishes to a smooth finish. Cutting it on the lathe is like carving chocolate. It smells kind of sour when cut - I guess that keeps me from wanting to put the shavings on my ice cream... It can vary in color from creamy white sapwood to deep brown heartwood. It's long been a favorite for gun stocks, and also popular for guitar bodies. (Taxus Baccata) The Yew Tree is highly poisonous except for the red berries. It only takes 30 seeds though to kill an adult in a matter of hours. Chemotherapy drugs are derived from the Pacific yew tree. The wood has been prized throughout medieval history for use in longbows. In England it was so prized that before long there was a shortage of mature yew trees and a law was passed that every ship that came to port had to bring with it four staves for a port charge. Eventually this was increased to 10, and the law stood until guns started replacing bows for use in warfare. The wood is bright orange in the sapwood, and a deeper russet in the heartwood. Its hardness and swirling grain make it prized for woodturning, furniture, and other decorative uses. Also called Zebrano, African zebrawood trees can reach in excess of 150'. Diameters commonly measure between 5' and 7'. Heartwood is light golden-yellow with streaks and veining of dark chocolate brown. Dries slowly, and tends to surface check and end-split during seasoning. Coarse texture and interlocked grain must be surfaced wih care. High-luster finish on this wood makes it extremely decorative.